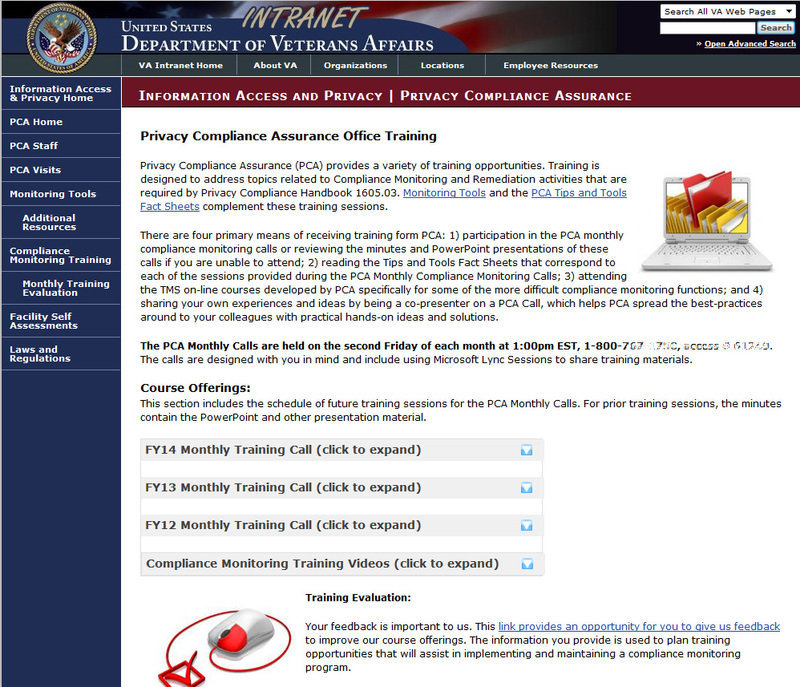 This is an example of one of the many VHA Intranet sites I supported from 2006-2014. As a government site, the template and content management systems were mandated and standardized. However, I was able to add extra features and code to these sites to make them more appealing and functional.